In learning how to abide in Christ we must first begin by learning to live in a deep and intimate relationship with God by continually abiding in His presence. We can do this by creating a place in our heart to stay connected to the very source of love and life that can only be found in Christ. God’s desire is for us to remain connected to him through intimate relationship so we can experience His continual faithfulness and love which has many rewards both here on earth and eternally. Abiding in Christ is not only a call but a command to stay and remain in Christ by making Him our dwelling place and yielding to His commands. We do this by remaining faithful and true to His truths found in His Word and keeping them in our hearts and minds. These teachings and instructions of Christ are placed in the Word for our direction and benefit in life’s journey. They bring a renewing of our mind, thoughts and intentions that forms and shapes us into His image. As we learn to stand firm and immovable in our walk with Christ, it gives us strength and courage to refrain from the evils of the world around about us. This brings me to these scriptures found in John where Jesus is speaking of His relationship with the Father and the oneness they share and his desire for us to be one with Him. Then He tells us how we can be one with them. John 15:4 says, “Abide in me, and I in you. As the branch cannot bear fruit of itself, except it abide in the vine; no more can ye, except ye abide in me”. John 16:7 says, “If ye abide in me, and my words abide in you, ye shall ask what ye will, and it shall be done unto you”. KJV ( in some other versions that word abide says remain). In the first scripture we learn that a branch in and of its self cannot bear fruit. It must be connected to its source which is the base of the vine where it gets all of it’s life and nutrients so the branches can sprout out and bud forth to produce the good fruit that we love to enjoy. This is a picture of how our lives should be in Christ who represents the base the vine from which we as the branches bud forth but we must stay continually connected to obtain the needed support and source of life. Thus growing in strength to stay strong and endure we learn from Him so that we produce the right kind of fruit not only in our lives but in the lives of others. As I was reading an article about grapevines the other day and since we are talking about abiding in the vine I thought it appropriate to share a few of the helpful hints that I learned. 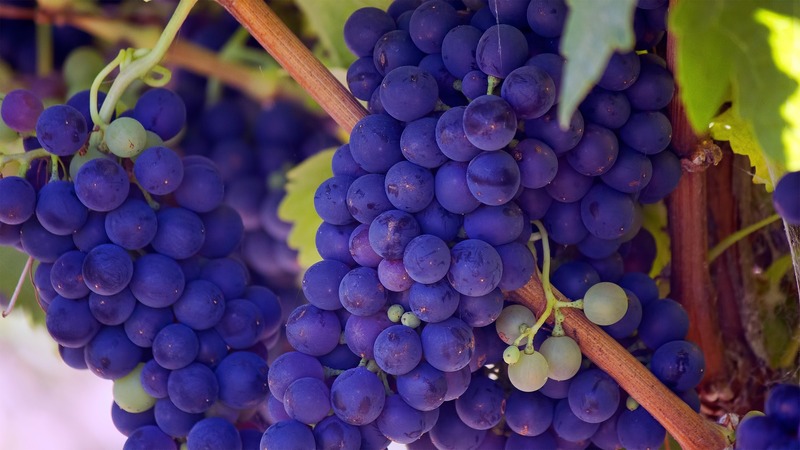 The article stated that it is very important for a grapevine to have full sun because it produces the heat required to ripen and mature the fruit. Each vines needs about 6 feet of space to grow. The flowers are self-fertile and pollinated by wind and insects. They must be pruned in the spring before the leaves emerge. Vines can be trained to many decorative forms. Flowers are initiated on young canes. It is possible to get fruit one year after planting. As I was reading this article I began to think about how in many ways it pertains to our own lives too. 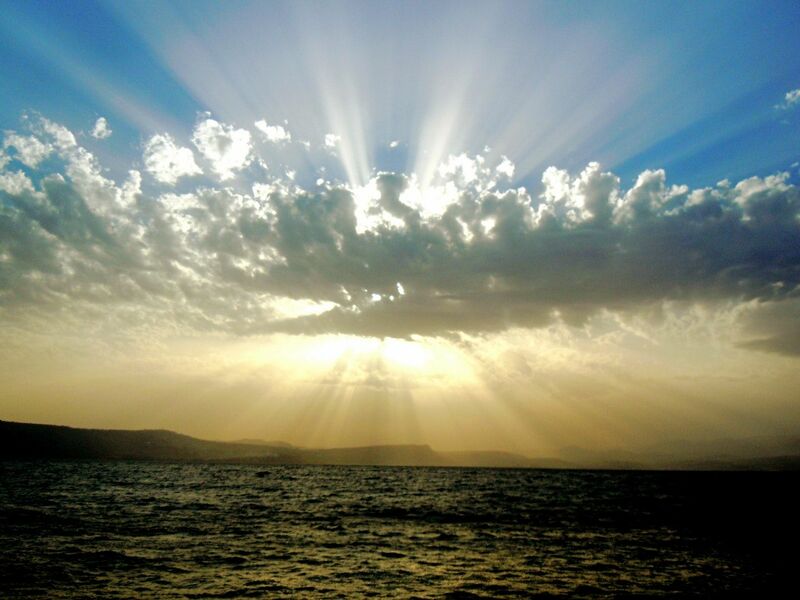 It is very important that we too have full access to the Son who brings life, sunshine and it’s heat into our lives. As well as rain which brings much-needed refreshment for us and very vital for our bodies to function correctly. Rain can also represent that of the Holy Spirit which is much-needed in our lives. He is one who brings times of refreshing when we are dry and thirsty, as well as one who is our counselor and teacher. He leads and guides us with wisdom on which paths of life we should take. I began to realize how God sometimes uses and allows those situations and circumstances that are uncomfortable in our lives, to bring us to a place of recognizing the need to step out of our comfort zone and into the change he is requiring of us. Because of our resistance to these changes sometimes they can bring forth times of frustration which can cause anger to arise in us and sometimes in those around us. But many times it is necessary to bring forth that heat of being uncomfortable which is needed so His fruit can mature and ripen in us. In those times of testings and trials is when much is revealed about our character and maturity. This way we can see just how much we have grown and the Father is able to reveal to us the areas where we still need to grow and mature. I saw how each of us need the proper time and space to be allowed to grow, mature and spread forth our branches to reach the sky in an atmosphere of encouragement even when we make mistakes. Then I noticed that even though the winds and insects were supposed to bring pollination to the flowers to help them produce, if not carefully watched and protected, but left to themselves they could be damaged or destroyed. The wrong kind of insects or winds that were much to strong for the delicate plants could also be destructive. Overgrowth of weeds, dead flowers and branches can choke out the life giving sources keeping the branches from being able to receive the proper flow of nutrients so the tender new branches can produce new growth and helping the plants to grow stronger and healthier. So it is many times when we are hit repeatedly by strong winds of adversity or the wrong kinds of things are allowed to remain in our lives. Just like the wrong types of insects they can destroy us and our witness for Christ. It is vital that we have a good support system to encourage us even in those times of imperfection. Not in a condemning way but through love and encouragement that we can overcome and we will grow stronger and things will get better. We in the body of Christ should be like the cheerleaders at a football game, they are there to root the team on by encouraging the fans to cheer the team on to victory. A building up of ones faith so we are not left feeling alone in our shame and vulnerableness because of insecurities or mistakes. Just like in the football game when one of the team members misses the catch or misses the field goal we should encourage our team mates to get back in the game and try again and move on to victory. Next I noticed how much like the grapevines, trees and shrubs we also need pruning. Therefore God brings those times of pruning into our lives to cut away the dead or overgrown branches and stems and the removal of weeds that may have grown up and are choking out His life within us. Sometimes we can have weeds from our past that come to try to choke out the new thing God is doing in our lives by reminding us of our past failures or shortcomings. God uses many forms to get rid of the wrong things in our lives so He can complete the good work He has begun in us. Sometimes he might snip a little here and pinch a little there. Then thins out some over growth of weeds here, trims off, chops and lops off some of those bigger branches. Or he might just take out the shears and shear the whole tops off. But just as it is all necessary for the growth and health of the grapevine, it is a good thing for us also. Many times because we have gotten to comfortable with the world system and allowed it to take over our garden He has to bring a time of pruning so we will be able to bring forth an increase of a better sweeter and more edible good fruit. But during these times of pruning though necessary it can be very painful. I could see then how God also trains and fashions us in life’s situations to bring about a cutting away in some areas to bring about many new facets in our lives. To form us into the beautiful new jewel He has always seen within us even when we cannot see it. He does all these things because He wants us to bring forth a much more luscious and edible fruit to bring to His table for His children to feast upon. Then I noticed how God in the right conditions will bring forth fruit in us all no matter how young or old a vine or tree. Sometimes the older vines can bring forth a much sweeter fruit with age. All He needs is a yielded vessel surrendered and willing to abide and remain in the vine and allow the vinedresser to do the work that only He can do. Our part is to trust that He knows how to perfect us to bring forth the best fruit. In the second scripture Jesus is also talking about abiding buy then He says something very interesting about asking. He says, “ask what you will, and it will be done unto you”. Wow! Did you hear that ask whatever you will and He will do it. He didn’t say He’d think about it and then He might do it for you. He said, He will do it! And we know by His Word that He does not lie, right! But before you get too excited about it, listen up! Because this is the real kicker and this may be why many times that we do not receive that which we ask for. It would seem that according to this scripture that it may not always be that we have a lack of faith and don’t see our prayers answered. But perhaps it is because we are not truly abiding in Him, the vine. Perhaps we should do some real soul searching and ask ourselves this question. Am I truly abiding in the vine as Jesus commands? Could this be why my prayer seem sometimes to go unanswered or even delayed. These are the signs of a true Disciple of Christ and the sign of true genuine faith in Christ, to remain in Him even when the heat is on and it is not popular to do so. To remain faithful whatever the circumstances.There is no such thing as defecting to the other side when things get uncomfortable or because some of your friends or family have done so. The picture Christ shows us about abiding in the vine gives us a very clear picture of how vital our union as a Christian with Christ truly is. Our relationship with Christ should be that of a link or bond that is inseparably that cannot be broken. A walking in grace and power to obey His instructions as to how we are to live our lives. With a continual offering up of our praise and adoration unto Him and submission of our lives to His Authority. Knowing and trusting Him as the life-giving source and sustainer of us all. May we meditate upon this song found in Psalms 125:1 NLT knowing that as we abide in Christ and trust in Him we will be as secure as Mt Zion and that we will not be defeated but will endure forever. May you be blessed knowing that you are safe in His loving care.